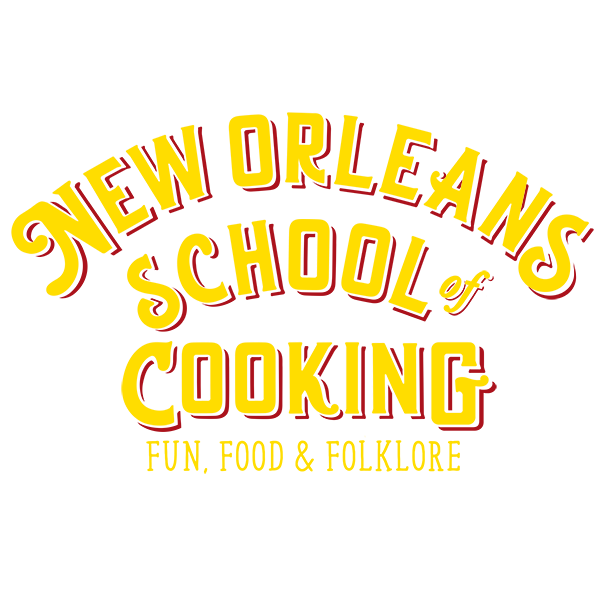 The New Orleans School of Cooking offers an authentic New Orleans cooking experience that you will never forget! With entertaining demonstration cooking classes, hands-on cooking classes for private parties, and a general store featuring a selection of locally sourced Louisiana food items, gifts, cookbooks, barware, bakeware, and more, the School of Cooking is a site that must be seen, heard, and tasted! 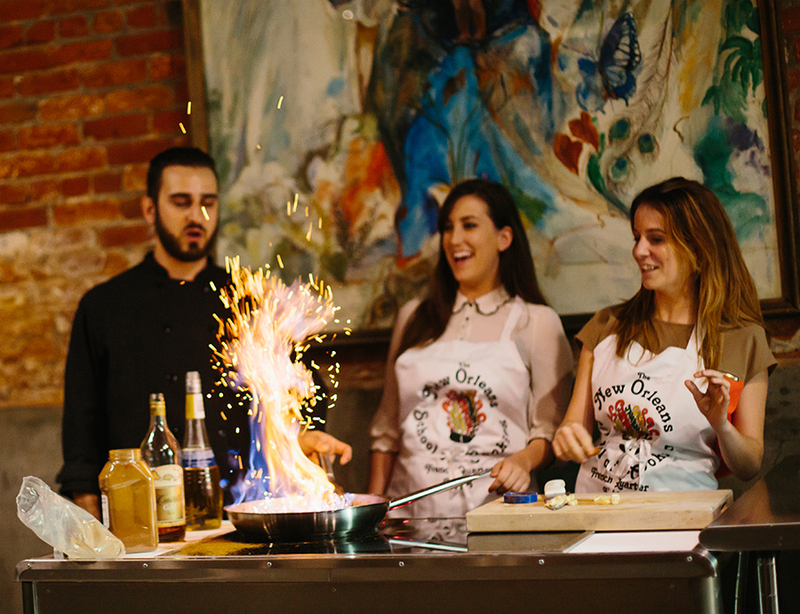 Midnight Boheme is proud to have worked on several outsourced projects to help promote the School and even got to experience the private cooking course, which was a delicious learning experience! 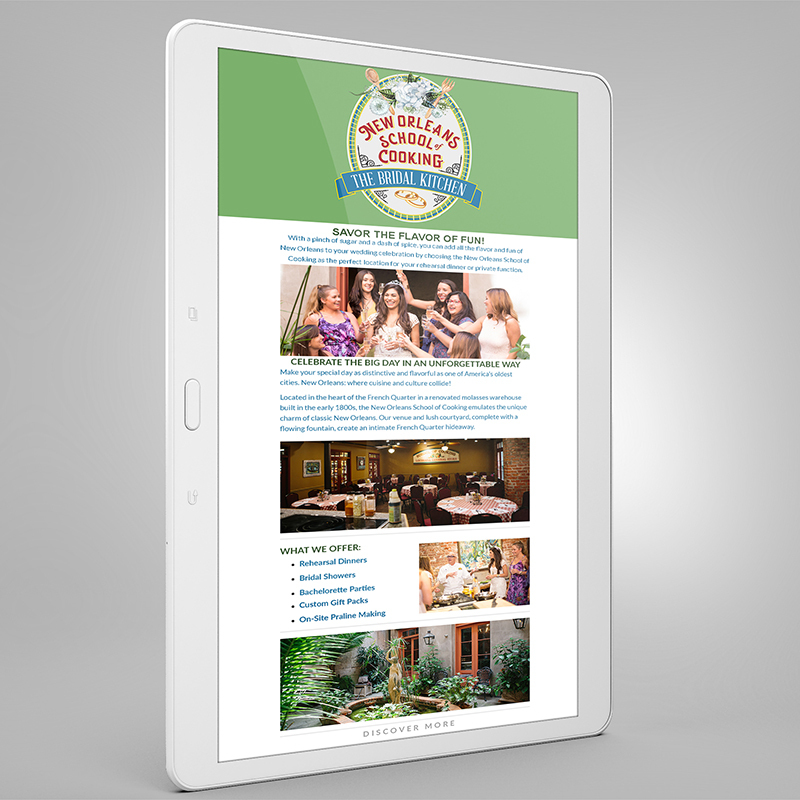 Teaching the basics of Louisiana cooking in a way one will never forget, the New Orleans School of Cooking features Cajun and Creole experts who teach the courses where FUN is a primary ingredient. Whether demonstration or hands-on, the food prepared during the class will be ready to eat by the time you are done learning! When the rain comes pouring down over New Orleans, folks ask themselves what to do with it, just like Blanche DuBois in Streetcar. 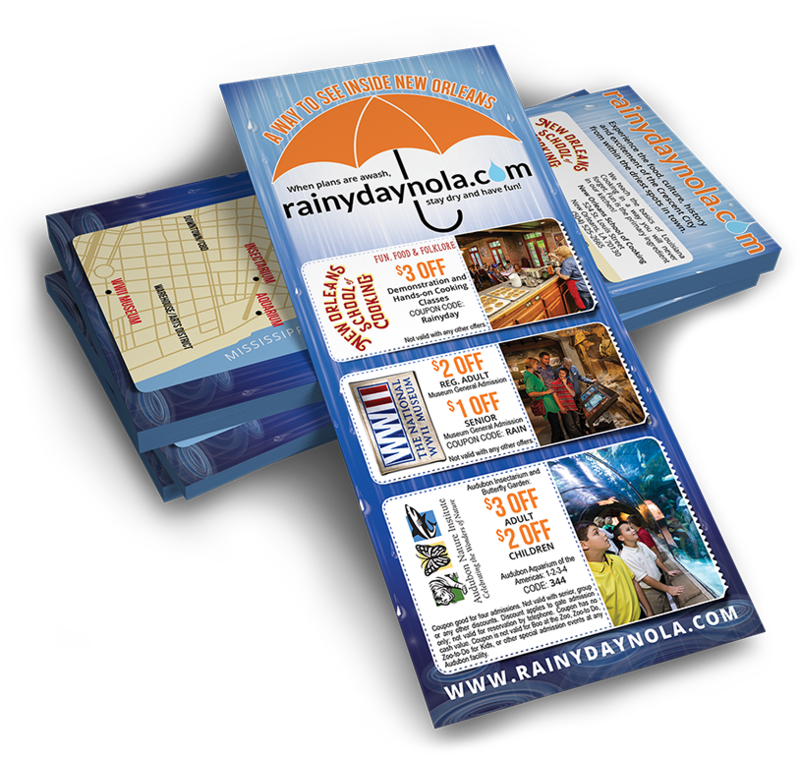 Midnight Boheme designed a rack card to help answer this question by offering special discounts to three amazing local venues that offer in-door experiences including the New Orleans School of Cooking, the National World War II Museum, and the Audubon Nature Institute with the Audubon Aquarium and the Audubon Butterfly Garden & Insectarium. 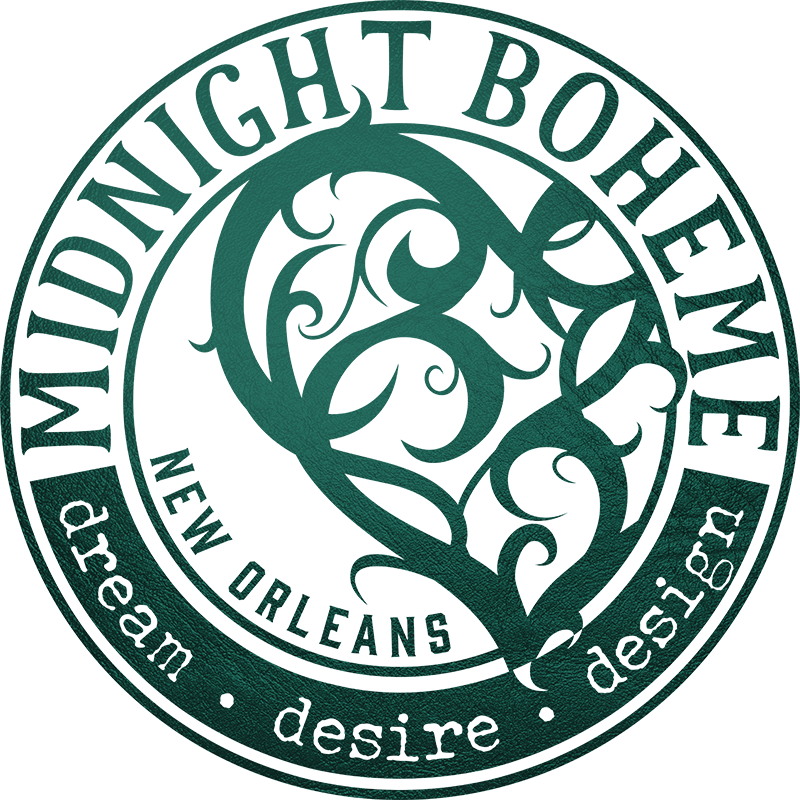 Keeping with the already well-established brand standards of the New Orleans School of Cooking, Midnight Boheme worked with the company to design a full page ad to be featured in a publication in Paris, France. 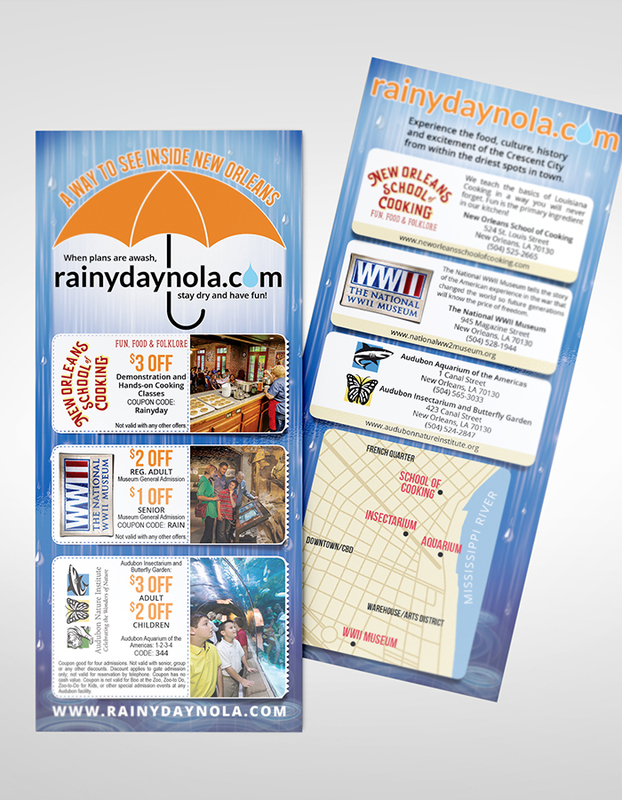 Using the brand identity elements but allowed to create some unique flair, Midnight Boheme designed a flyer for the celebration of the city's 300 years to promote the New Orleans School of Cooking courses in both demonstration and hands-on classes. 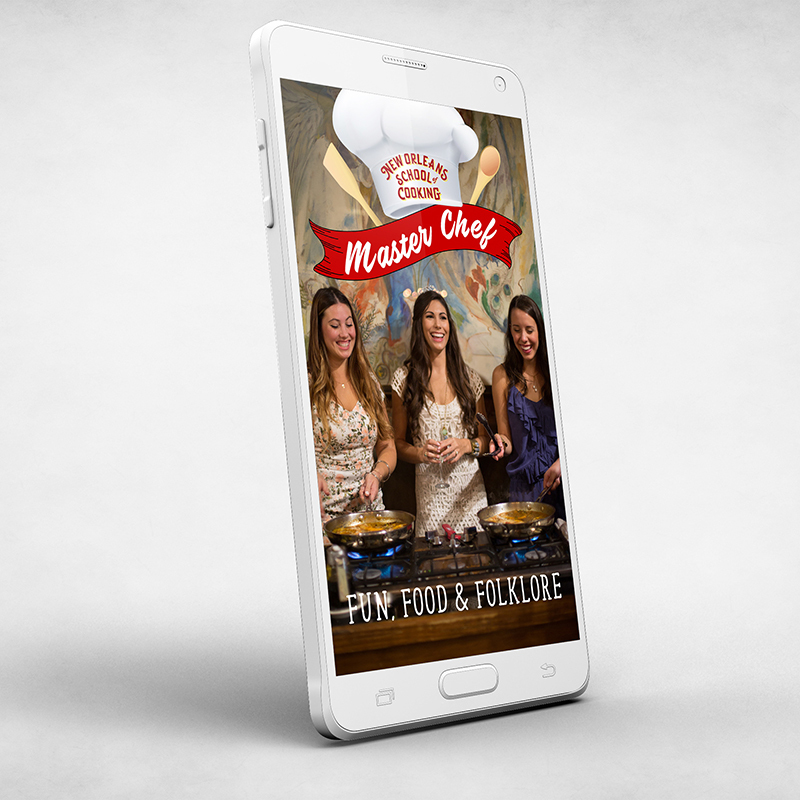 The family-owned cooking school also offers kids courses as seen in the below social media ad campaign, "Kids Can Cook!" 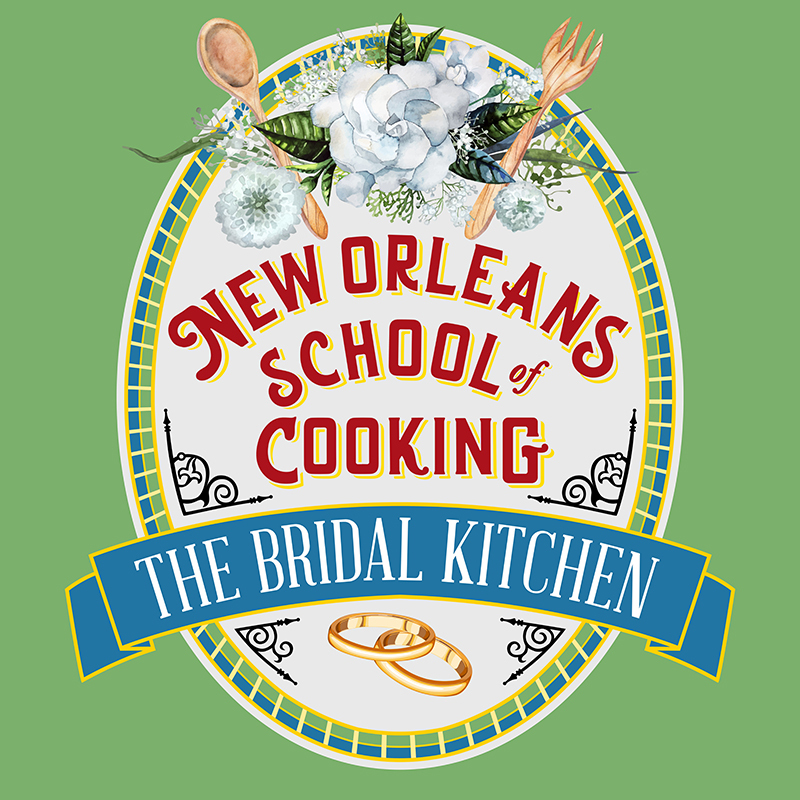 Designing a customized, digitally handcrafted logo designed based on the existing brand product labels featured in the general store, Midnight Boheme created an e-blast campaign directed at brides-to-be to host their bridal showers at the New Orleans School of Cooking. 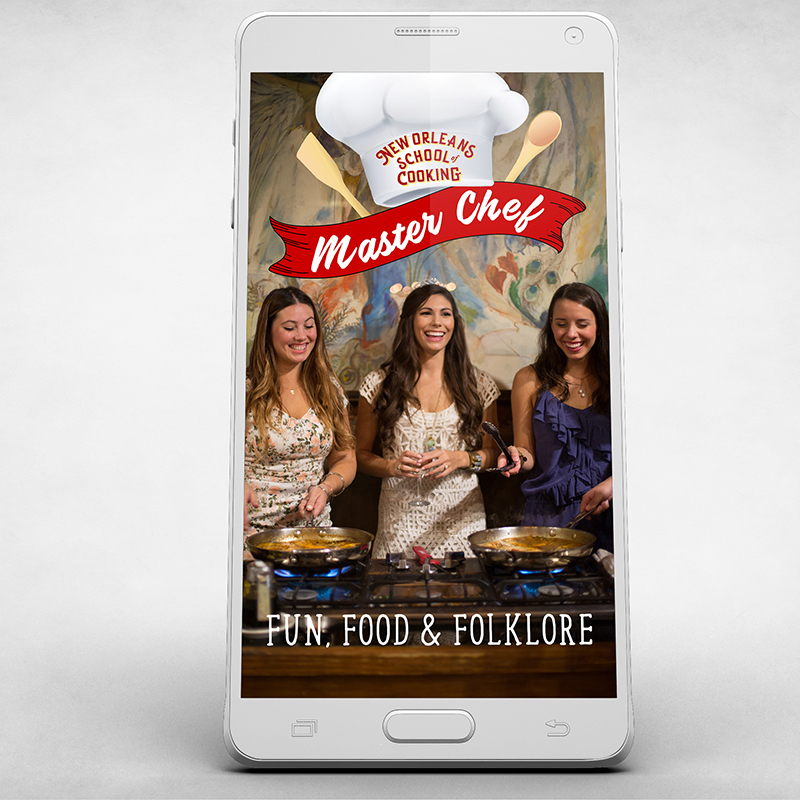 Promoting fun, food, and folklore at the New Orleans School of Cooking with a customized Snapchat filter began with stylizing a chef's hat complete with wooden cooking utensils and a red banner that matches the branding of Joe's Stuff, the seasoning products sold in the cooking school's general store.